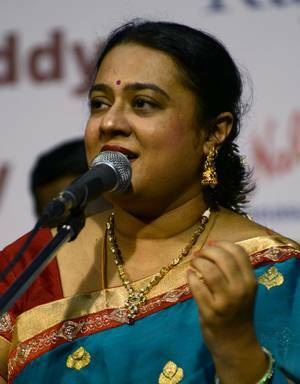 Festival, Vocal, Music, Subashree, Ramachandran. 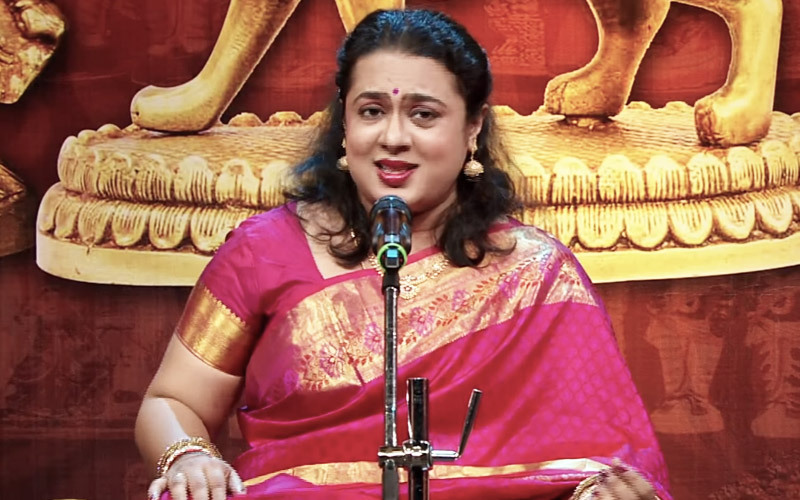 Young carnatic vocalist Shubhashree Ramachandran along with her dad Trichur Ramachandran and mom Charumathi toured France and Switzerland recently with their new music production, 'Nauka Charithram'. In this exclusive column for KutcheriBuzz, Shubhashree says what this show was all about. shubashrefil"I didn't know Saint Thyagaraja had French Connoisseurs until I met Christian Ledoux and Miriam Ledoux. 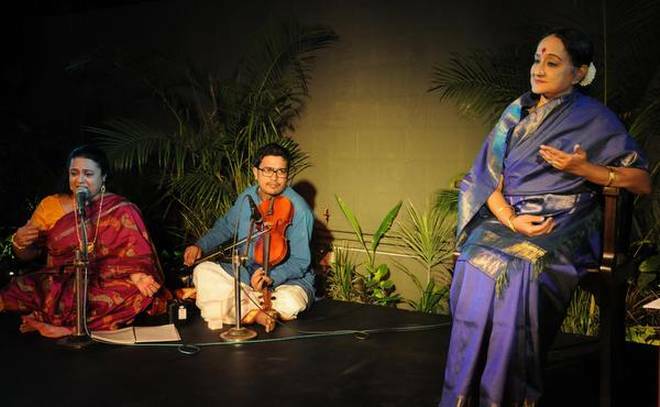 'Diva Musiques des Mondes' as they call themselves would probably fit in very well with music veterans and our Mylapore rasikar. They love MDR and Mali, besides of course Thyagaraja! Doing the 'Nauka Charitram' for a European Audiene was Ledoux's dream come true. We were a 9 member team with my father Trichur Ramachandran playing the role of Krishna and my mother Charumathi the Premiere (First) Gopi. My mother composed the whole musical score and the choreography. trc2Nauka means 'boat' and Thyagaraja's musical opera has a beautiful philosophical meaning. It relates a tale of Krishna's and the Gopis' boat journey. The journey on the boat can be described as man's journey of life. The Krishna and Gopi relationship is one of the yearning of the Jeevathma for the Paramathma. The story sung in Telugu - shows Krishna and Gopi on the river Yamuna. The gopis are full of pride and arrogance. They start ordering Krishna about. Krishna decides to frighten them with a thunder storm. The Gopis then let go of their pride and surrender to the lord completely. Krishna becomes their Saviour. Our first half was at Antwerp in Belgium and we sang at this music consortium of sorts. The building's top had a sculpture of a man measuring the clouds as if to say that music is boundless and limitless and its value cannot be measured. The highlight of our programme was performing at the theatre de la ville, one of the most prestigious concert theatres in Paris. We did four performances there on different days and much to our pride the audience loved the concerts. The romantic lord Krishna as the central theme really captured their fancy. It was exciting to hear the French "Encore". trcfamilyWe did about nine programmes in and around France and Switzerland. It was a beautiful experience to spread the music of Thygaraja and as we took a boat ride along the Scene river, it was like the Nauka, his dreamboat had truly come alive.